A Home Guard and another police personnel intercepted the bike-borne accused who then opened fire at them and looted their rifles. 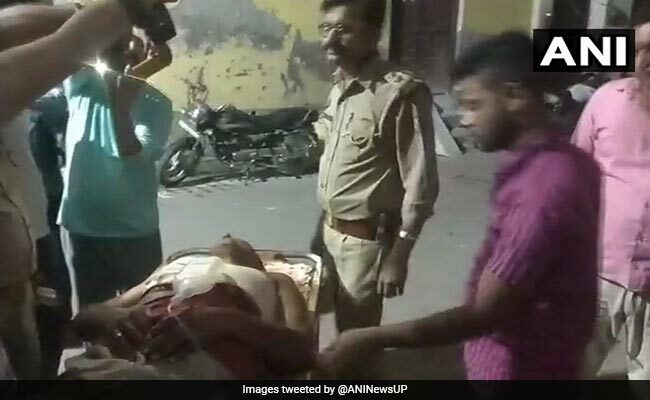 Two motorcycle-borne men allegedly opened fire at police personnel, injuring one seriously, and looted two service rifles from them in Shamli district in Uttar Pradesh, police said today. The incident occurred on Tuesday night on Bidoli road under Jhinjhana Police Station, Circle Officer Rajesh Kumar Tiwari said. Home Guard Sanjay and another police personnel, Sansar Singh, were near the Kamalpur checkpost where they intercepted the bike-borne accused, Mr Tiwari said, adding the two men opened fire at them and looted their rifles. Home Guard Sanjay was injured and he was rushed to the hospital in a serious condition, the circle officer said. On receiving information about the incident senior police officers rushed to the spot and a hunt was launched for the accused.